"The one-hour film has something for basketball fans ... Maybe more valuable, however, are the scenes of normality"
"L.A. Champions doesn't give viewers a neat ending because there isn't one. The names change, but the story repeats itself every year"
To some basketball is not just a game. It is hope. It is a way out. A way out of a city that threatens their safety. 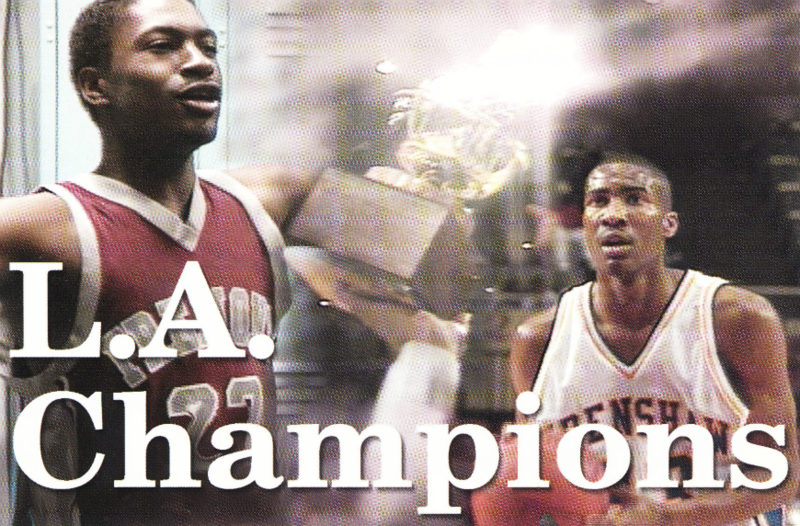 This film follows two high school students, Ricky Brown and Maurice Robinson, both captains of teams competing against each other for the title of L.A. Champion. They both see basketball as a a ticket to better lives. Lives that do not involve patching bullet holes in their walls and dead bodies in streets. We see fire in these kids as they go into the game deciding 1st place in the city standings. But only one team can win and in turn increase their chances of receiving full scholarships to a four-year college. We see one go on to lead his team to win the state championship and another start evaluating what role basketball has in his life. In the end we watch both begin on separate paths with their own set of challenges and futures shaped by a game, shaped by a shared hope.